SEO is an essential component of any company’s content tactics and waytogulf writers are ingenious in creating content that ranks well in search engines. With this in mind, you will never have to sacrifice readability for search engine optimization – our writers can create content that both your readers and Google will love. We assure it is grammatically and synthetically correct. We prove every link is a quality, website that offers sound information and easy navigation. 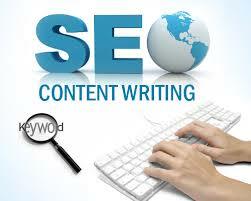 We will support your article which is SEO friendly and we will let the world know about it.